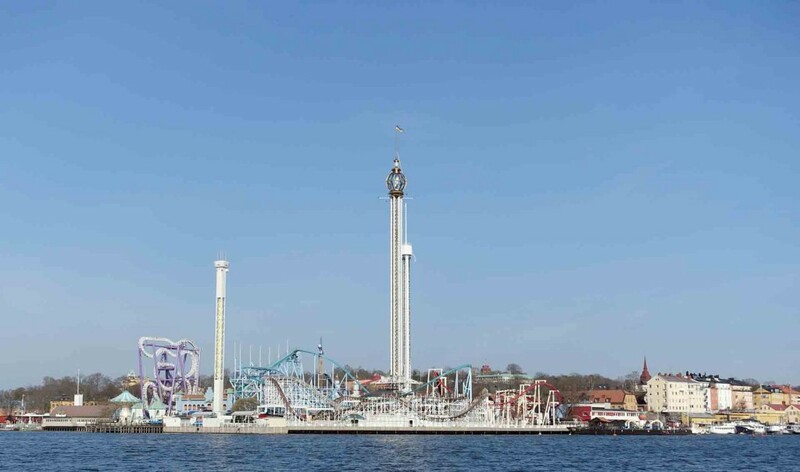 Ever since Copenhagen, I’ve been longing to visit other parts of Scandanavia and so for my birthday we took a little trip to Sweden. 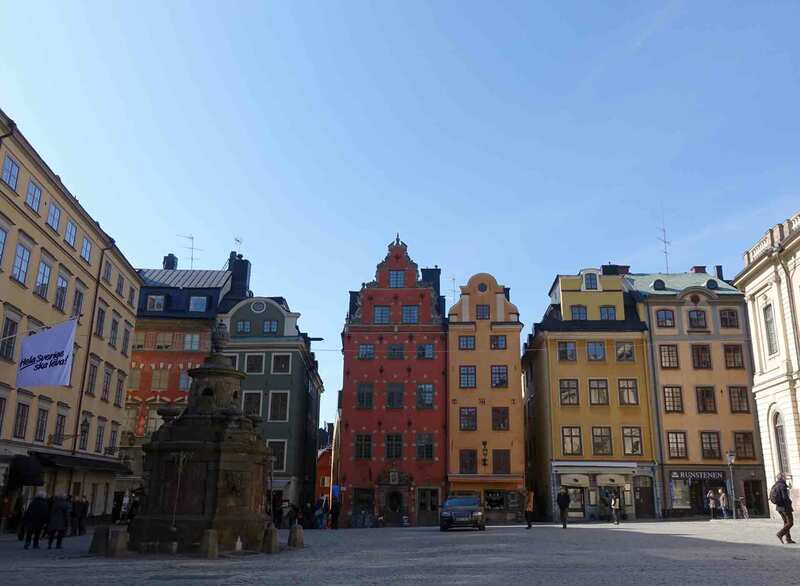 We spent a couple of days in Stockholm…which as you will see from the (overly?) long post is not nearly long enough as there is so much to see, do, eat in this fantastic city!We were blessed with beautiful weather during our time in Stockholm (a wonderful respite from the grey skies of London) and so we made sure to make the most of it by spending as much time as possible exploring the city on foot. 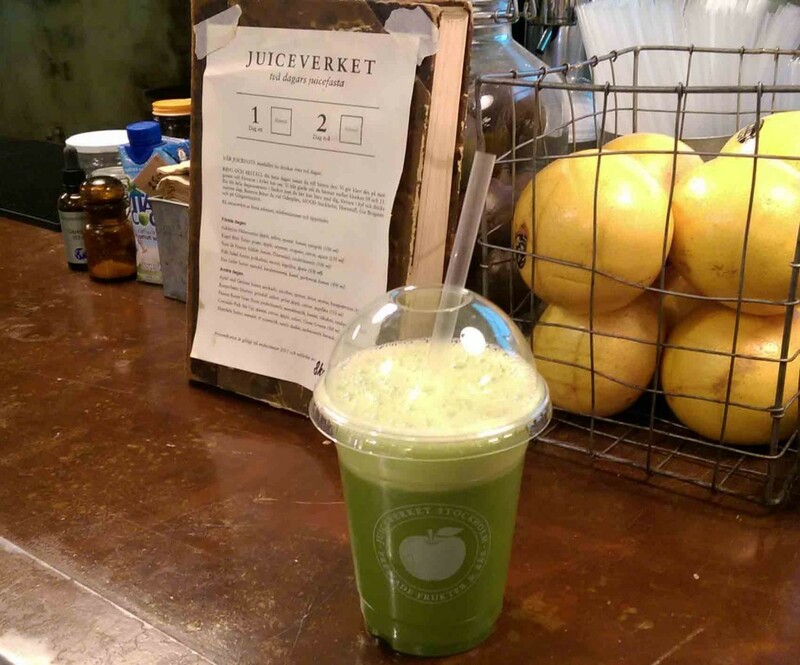 We arrived relatively late in the day so headed straight for a pootle around the shops fuelled by a delicious juice from Juiceverket which became a staple vitamin hit during our time in Stockholm. 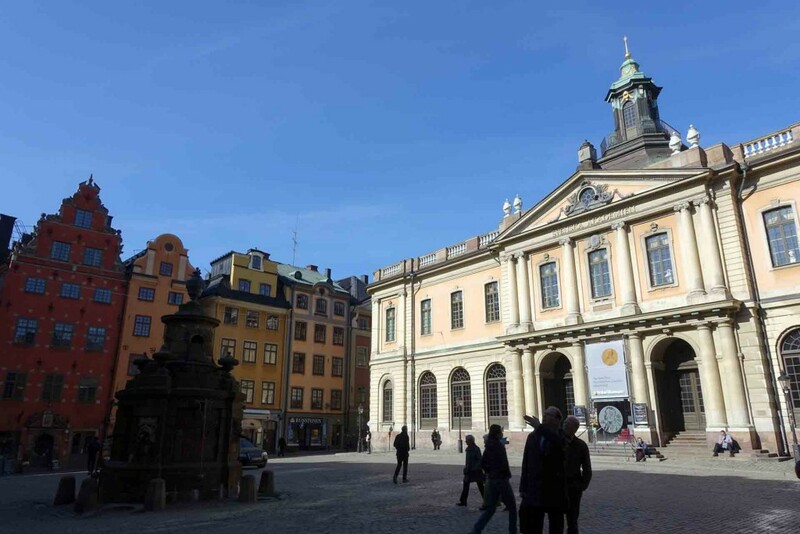 There are branches throughout the city but we first discovered it in the Mood shopping centre which you must visit as it is so beautifully laid out and features some of the best shops Sweden has to offer. 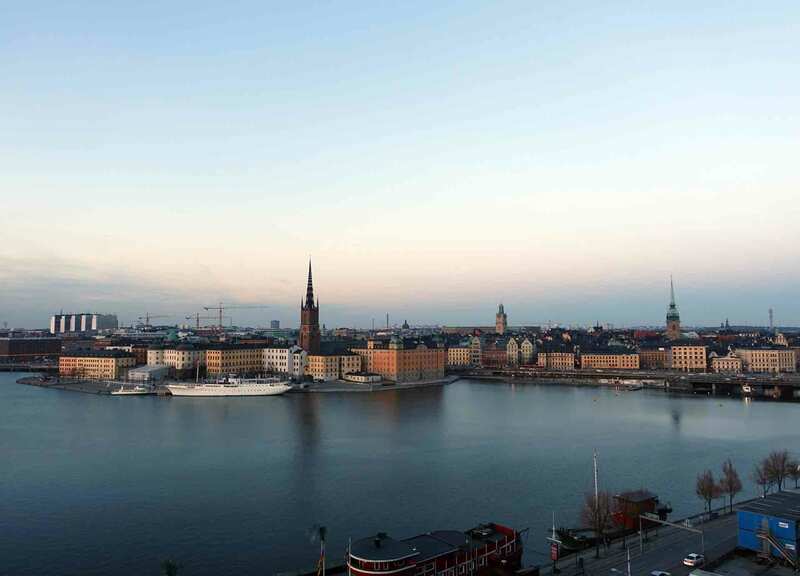 After we had exhausted the shopping options we wandered up to Montelisuvagen to watch the sun set over Gamla Stan. These views are well worth the rather steep walk up the hill. To round off our first day we headed for a gourmet dinner at Restaurant Frantzen (a full review of which will be up on Monday). Day two started with a coffee and unbelievable cinnamon pastry from Fabrique, a bakery I can’t recommend enough (and which I have dangerously just realised has a branch in London)…the pastry seemed to just melt in my mouth and somehow wasn’t super heavy or sickly sweet although I am sure it was totally sinful! 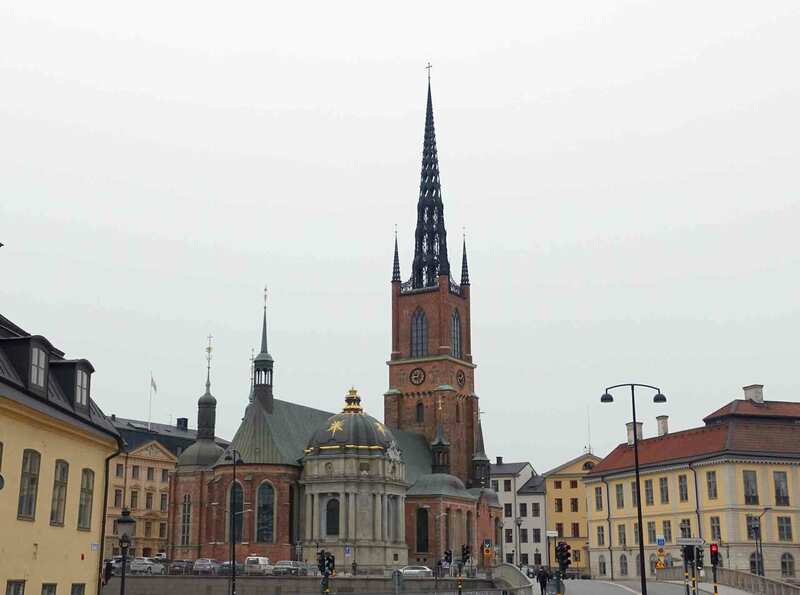 First stop on the sightseeing tour was Fotografiska, a huge photography museum which boasts exhibitions by some of the world’s most famous photographers. Sadly we just missed the exhibition by Herb Ritts which I was longing to see but this gave us the opportunity to discover some hitherto unknown (to me at least) photographers. I found the exhibition by Andres Serrano particularly interesting. 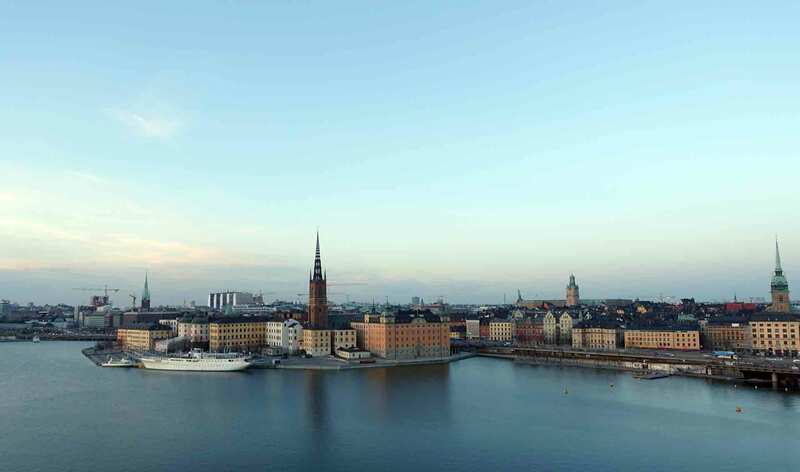 We had a quick break at the gallery cafe which has a wonderful view of Stockholm making it a worthwhile pit stop even if you really don’t need another caffeine hit! 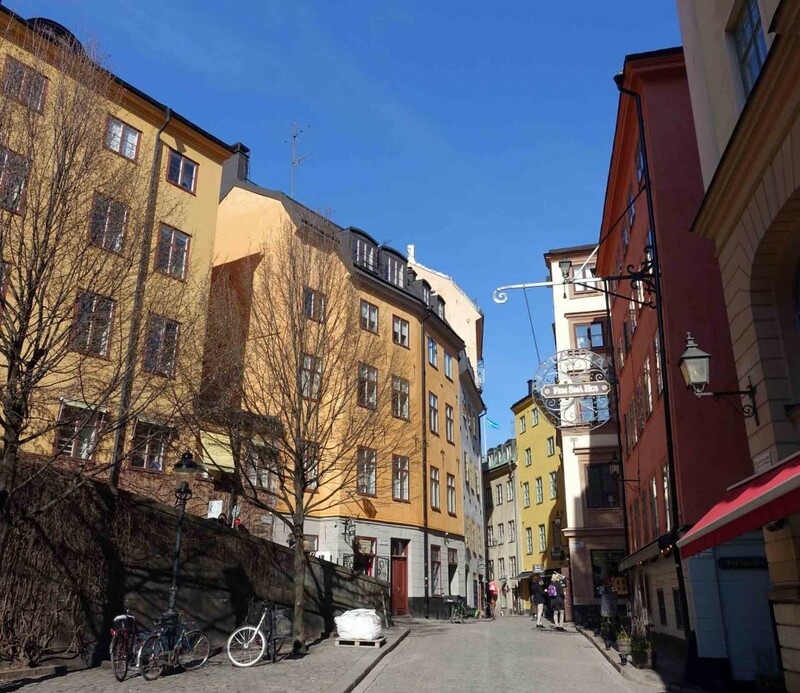 to winding streets of the oldest part of town, Gamla Stan. 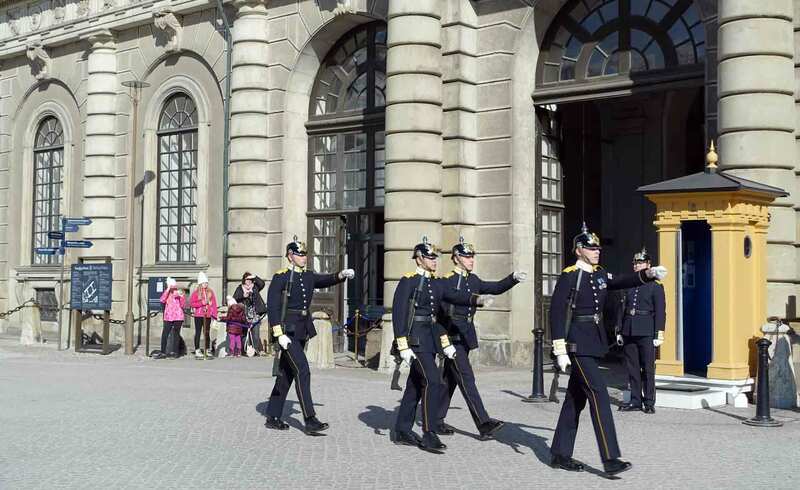 We ended our wander at the Royal Palace. Just in time for the changing of the guard. I may be biased but after the display I’m used to in London I was a little disappointed, that said if you’re in the area at the right time (midday) it is worth stopping to watch. 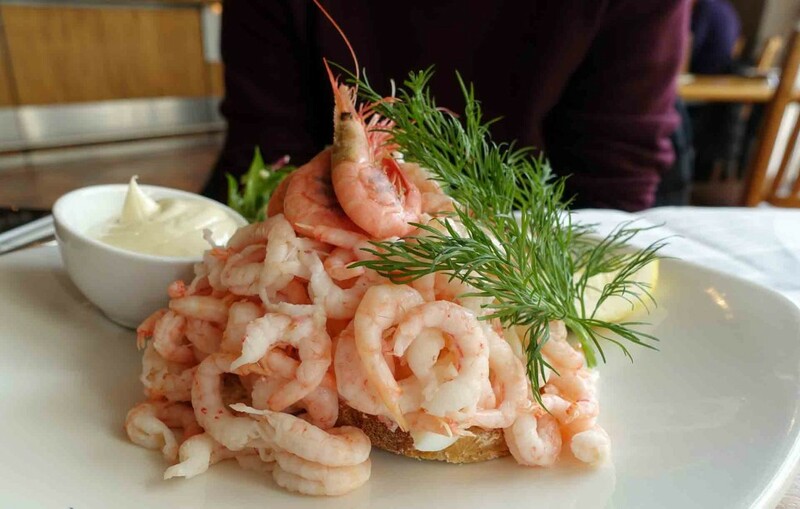 Given the goodies we had scoffed so far, we didn’t exactly have huge appetites but felt it would be rude to leave Stockholm without trying the traditional Räksmörgås or open-face shrimp sandwich. After our delicious pile of shrimp we caught the boat out to Djurgården to walk off our lunch in Stockholm’s largest urban park. 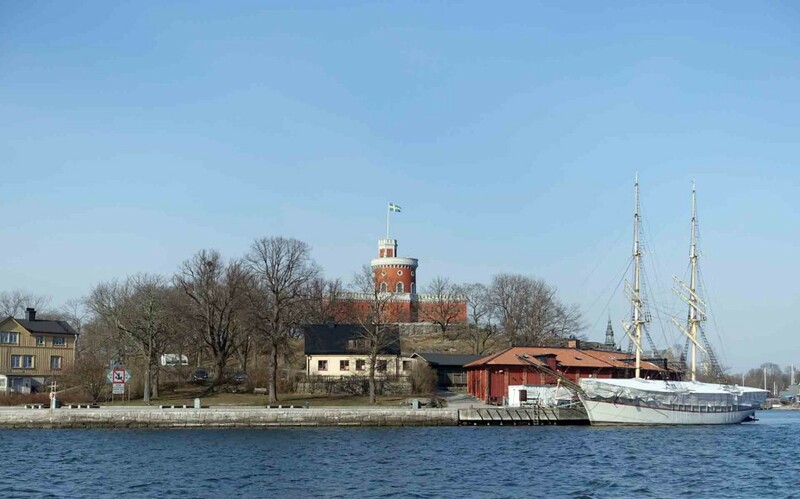 I would really recommend taking at least one trip by boat if you’re visiting Stockholm as it is a great chance to see the city from a different angle and gives you a better idea of the numerous islands that make up the city. 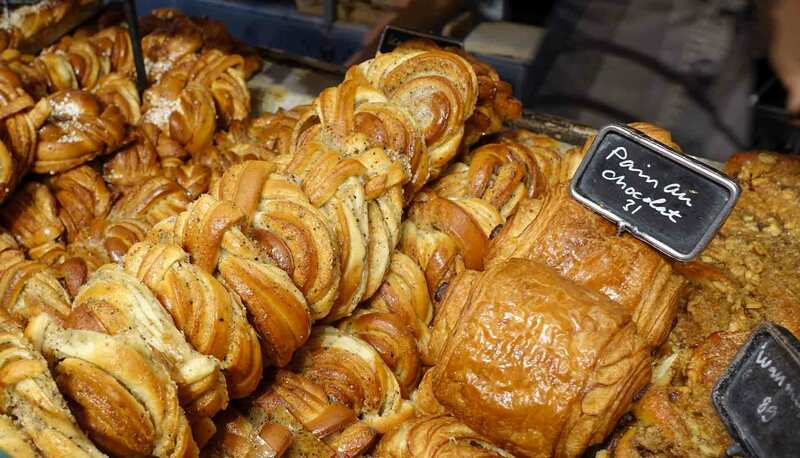 Once we reached the park we wandered through for a while taking in all the different buildings making sure to visit the famous Rosendrals Tradgardscafe even though we couldn’t actually contemplate eating any of the delicious goodies on offer. The Rosendrals complex includes a plant nursery, cafe and bakery (which has spawned a very popular cookbook) and has a great relaxed, country vibe despite being in the middle of the city. 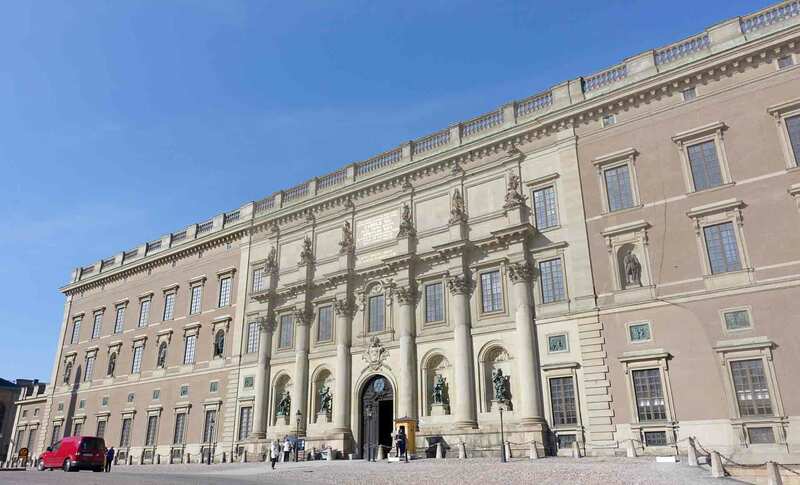 Also within Djurgården are a number of the cities most famous museums. 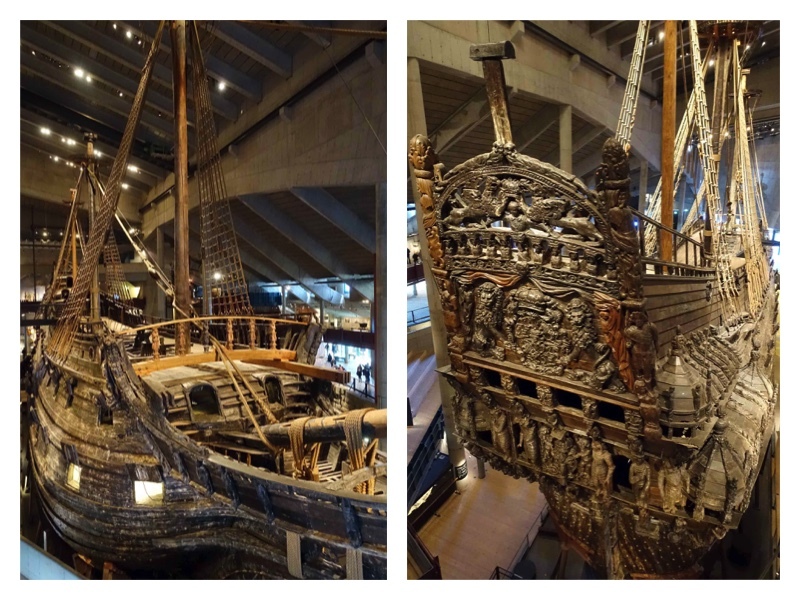 And if you only visit one museum in the whole of your trip to Stockholm I would really recommend that you make it the Vasa Museet. 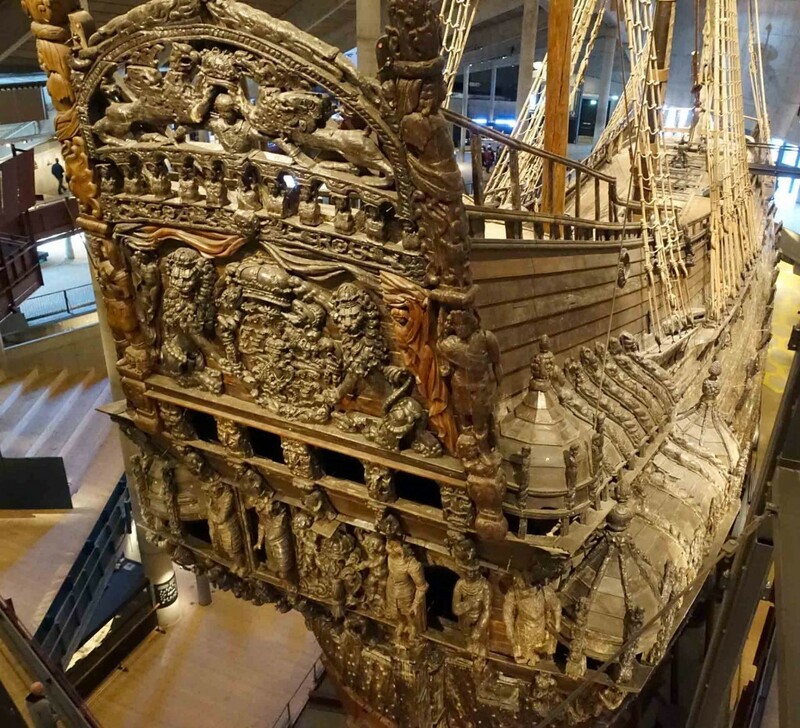 This amazing museum contains an almost complete seventeenth century ship which sunk in 1628 in the middle of Stockholm harbour having only sailed 1300 metres. The ship remained under water for over three centuries until it was raised from the harbour in 1961. 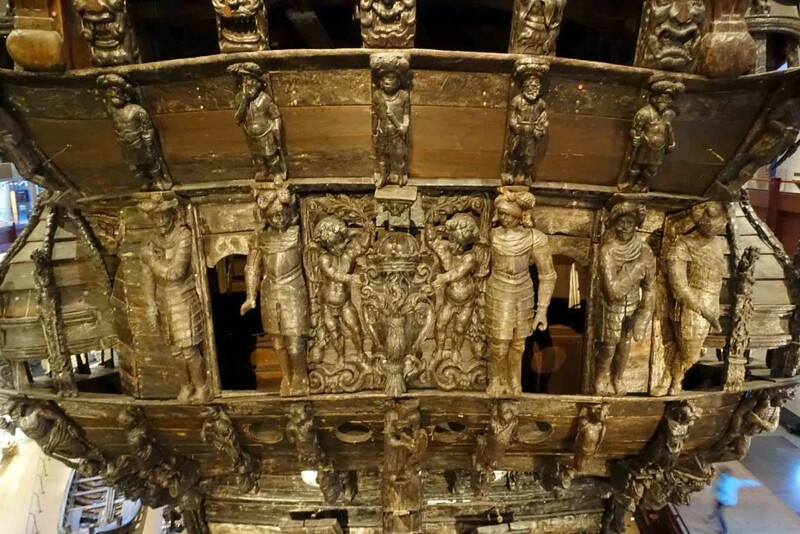 I know that a museum about a ship probably doesn’t sound particularly exciting but trust me seeing the ship up close is jaw dropping (the pictures really don’t do it justice). It is particularly incredible how much detail has been preserved. The museum is so well laid out (allowing you to see the ship from lots of angles) and although the ship itself is the focal point there are also really interesting side displays about life on board and the raising of the ship. Having rather exhausted ourselves we returned to the hotel for a quick nap before checking out another of Stockholm’s highly rated restaurants Oaxen Krog (which has just be awarded its second Michelin Star) – again a full review to follow next week. 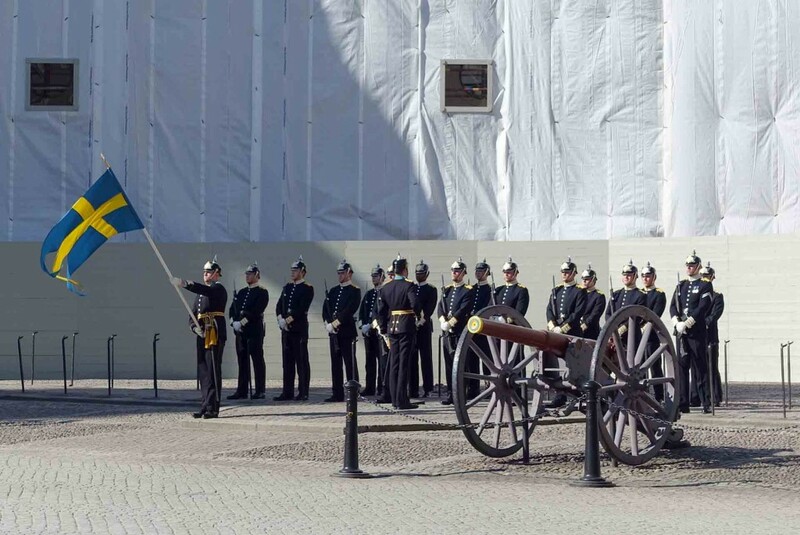 This entry was posted in explore and tagged city break, Djurgarden, Fotografiska, Gamla Stan, Monteliusvagen, sightseeing, Stockholm, Sweden, Vasa Museet. Bookmark the permalink.